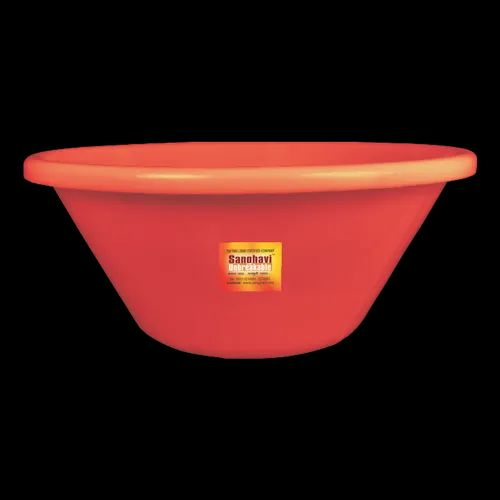 Plastic Round Crates/ Dala are available in Virgin Material in 35 Ltr, 50 Ltr and 65 Ltr Sizes. Plastic Ghamela is Available in 10" to 21" Sizes Made from Virgin Material. Plastic Tagari is Available in 3 Diffrent Sizes, Made from Virgin Material. Dust Bins are Available in 5 Ltr, 7.5 Ltr, 25 Ltr and 60 Ltr with lid, made from virgin material. Plastic Bath Stool is Available in Virgin Material. Gruhini Plastic Supali is available in virgin material. Plastic Milk Crate is available in virgin material.